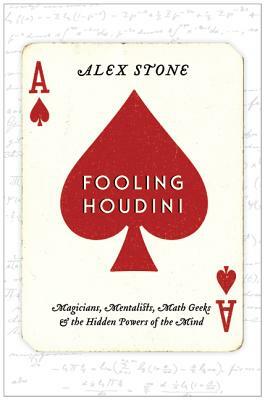 From the back rooms of New York City’s age-old magic societies to cutting-edge psychology labs, three-card monte games on Canal Street to glossy Las Vegas casinos, Fooling Houdini recounts Alex Stone’s quest to join the ranks of master magicians. As he navigates this quirky and occasionally hilarious subculture populated by brilliant eccentrics, Stone pulls back the curtain on a community shrouded in secrecy, fueled by obsession and brilliance, and organized around one overriding need: to prove one’s worth by deceiving others. But his journey is more than a tale of tricks, gigs, and geeks. By investing some of the lesser-known corners of psychology, neuroscience, physics, history, and even crime, all through the lens of trickery and illusion, Fooling Houdini arrives at a host of startling revelations about how the mind works--and why, sometimes, it doesn’t. Alex Stone has written for The New York Times, The Wall Street Journal, Discover, Harper's, and The New Republic. He lives in New York City. — Ira Glass, host of "This American Life"